Petros Kyriades, is half of 'The Collectors'. William ('Bear') Morris, ex-SAS sergeant, the other half. Accountant Bernie Cohen cannot recall the first ten years of his life. But with the assistance of a psychiatrist, exposes an undesirable truth. 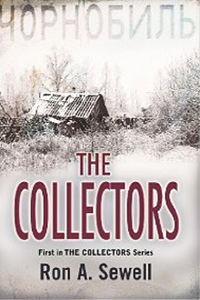 An abandoned house close to Chernobyl holds the mystery of his past, and Bernie hires The Collectors to retrieve something that should have remained hidden. The Collectors always play the game by their rules – that is until someone or something forces them to rewrite them.